Visit Beautasia’s superhero lair at Hollywood Beautiful. Question: I really want to age gracefully and avoid the frozen look of the women on “Desperate Housewives,” but I have to be honest here and say that I’m not loving the dent between my eyebrows. So fine, let’s talk about Botox. Answer: That dent is definitely an expression line from constant frowning. Using Botox can aid in the prevention of that. But more importantly, watch the frowning when deep in thought — or just annoyed. With Botox, cheaper is not always better. I would ask for recommendations from people you know and trust and those who say that they’re happy with their results. Also — ha — make sure they don’t look all frozen-ey, too! We have many muscles in our face and forehead. A good doctor or RN will choose the correct facial muscles to inject so that you can retrieve that smooth forehead while still having movement around your face. Just remember: Expression lines that have been around since the sands of time won’t disappear. 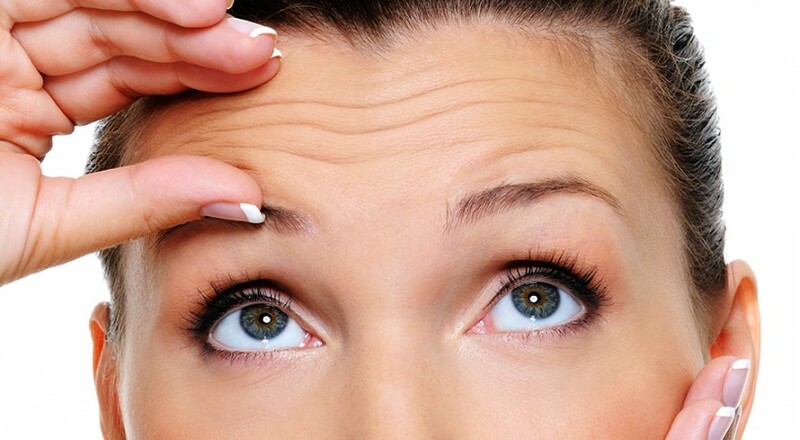 Botox is used for the prevention of deep lines; it won’t actually get rid of all of them. If you have a deep line that won’t go away, dermal fillers like Restylane, Juvederm or Radiesse might be a better choice. But even then, keep in mind that you’re not 22 anymore. Things like UVA/UVB-protected sunglasses and routine eye checks can also help with wrinkles caused by squinting. But the most important thing is keeping yourself hydrated and using antioxidant protection to protect the cells is key during the adult years. Look for supplements like hyaluronic acid (also know as HA) tablets and coenzyme Q10 (CoQ10), both of which are great for rebuilding collagen. I always say prevention is half the fight, so load up on vitamin C internally via supplements or diet and externally with creams or ointments, too.